I’m a latecomer to Microsoft’s user interface technologies. I never used Windows Framework (WPF) on top of .net and I never used Silverlight on the web. The last year was my first taste of these tools through the XAML framework that is part of the “Universal Windows Platform” (UWP) – that is, the Windows 10 user interface layer (and Win8). XAML has steadily evolved since the WPF days, and it took a little while to really understand the different major eras of the technology, especially since the UWP flavour of XAML strips out some of the older syntaxes in the name of efficiency on mobile platforms, better error checking at compile-time and code readability and ease-of-use. The technology’s old enough that much of the Google search hits and StackOverflow results are not applicable on the modern UWP platform. So what were a few of my first lessons when using XAML on UWP? and then bound the style to the invisible control’s properties. This works both “live” and in XAML Designer, even updating live as the XAML Designer target device resolution is changed. I found this reference useful on this subject. despite having only boolean ViewModel properties, we can do a boolean operation on them and auto-convert the boolean result to a Visibility type, without any converters. Always prefer x:Bind expressions to convertors. 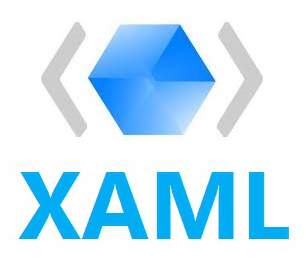 This opens up a huge number of ways of writing cleaner and more readable XAML code. Code-behind (the C++ or C# source for the XAML View) should be a last resort. It’s already challenging enough to keep track of a XAML file and a ViewModel; burying logic in the View divides the reader’s attention even further. There are situations where something is part of the “View” rather than the ViewModel: for example, a property that has nothing to do with the Model and only exists to enable the XAML implementation – such as a control spacing property or some such. This is perhaps the one case where View code-behind might make sense. But even there – if you can do it in XAML, that’s usually better. XAML Designer – the Visual Studio built-in visual editor for XAML – hasn’t had much love in a long time. Many things are broken, and it can’t handle some useful things. And if you don’t put effort into setting up the XAML correctly, a page/control can be totally illegible. Compile times for XAML – especially include C++ code generations – are brutal. You can iterate much faster if you avoid the compile. It’s a much quicker way to learn XAML, and even explore events/properties that you weren’t aware of. Add FallbackValues for x:Binds that XAML Designer can’t understand. They’ll only be used at design-time. Don’t bother trying to get “real” design-time data working via d:DesignInstance; it doesn’t work with a 64-bit application or with x:Bind. Why use Commands as the mechanism for the XAML/View to modify the view model’s state? For one, it’s often less code: XAML can directly bind to the viewmodel’s command property, instead of XAML having a click event, and the View’s click event codebehind then modifies the viewmodel. when the command cannot be executed, the XAML control will then enter the “Disabled” visual state. Refer to the Right documentation: surprisingly hard. Google tends to bring up .NET docs rather than UWP, and Visual Studio 2013/15 over the latest 2017 docs. The next time I create mankind I'll conduct an environmental impact study first. Appendix D is where it's at. Finally, some friends and I are ready to soft-announce the startup we've been working on: https://t.co/u2CdqSZn2W. We're working on a thesis that most modern tech architecture is "too scalable," and that slows down development of features that actually matter. @AmarachiAmaechi Your company needs junior engineers. They learn and grow from doing work that will bore your seniors, and having them do code reviews keeps seniors from writing some weird overly complicated code that they don’t realize no one else can read.